Gil Mell&eacute; (December 31, 1931 ? October 28, 2004) was an artist, jazz musician and film composer. In the 1950s, Mell? 's paintings and sculptures were shown in New York galleries and he created the cover art for albums by Miles Davis, Thelonious Monk and Sonny Rollins. Mell? 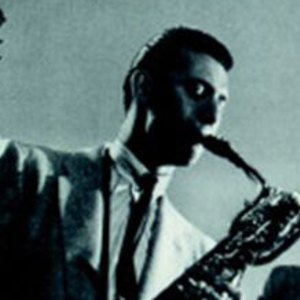 played the tenor and baritone saxophone with George Wallington, Max Roach, Tal Farlow, Oscar Pettiford, Ed Thigpen, Kenny Dorham and Zoot Sims. In the 1950s, Mell? 's paintings and sculptures were shown in New York galleries and he created the cover art for albums by Miles Davis, Thelonious Monk and Sonny Rollins. Mell? played the tenor and baritone saxophone with George Wallington, Max Roach, Tal Farlow, Oscar Pettiford, Ed Thigpen, Kenny Dorham and Zoot Sims. As a film and television composer, Mell? was one of the first to use electronic instruments (which he built himself), either alone or as an added voice among the string, wind, brass, and percussion sections of the orchestra. He was the first to compose a main theme for a television series arranged entirely for electronic instruments (Rod Serling's Night Gallery). His composing credits span 125 motion pictures and television productions, including My Sweet Charlie, That Certain Summer, The Andromeda Strain, The Judge and Jake Wyler, several Columbo TV movies, Frankenstein: The True Story, The Six Million Dollar Man and Kolchak: The Night Stalker. Melle died of a heart attack at his home in Malibu, California.